PATTISON Outdoor Advertising, Canada's largest Out-of-Home advertising provider and the leader in transit advertising, today announced it has signed a multi-year contract with York Region Transit to sell advertising on the Regional Municipality of York's conventional bus fleet. York Region Transit provides services to nearly 1.2 million York Region residents, throughout all nine municipalities, and covers an area of 1,776 square kilometres (686 square miles). More than 125 routes keep residents connected within York Region, as well as connecting to services in the City of Toronto and the Region of Peel. "We are excited to be partnering with York Region Transit," said Randy Otto, President, PATTISON Outdoor Advertising. "This is an incredible opportunity for PATTISON to connect advertisers with consumers in York Region. Adding York Region Transit to our growing Ontario transit portfolio, which already includes Toronto Transit Commission, Durham Region Transit, Oakville Transit, and Milton Transit, demonstrates our commitment to providing advertisers unmatched market reach and coverage." PATTISON Outdoor is also the exclusive supplier for advertising on the Toronto Transit Commission's (TTC) transit system. With a strategic focus on growth opportunities and innovation within the Out-of-Home industry, and providing impeccable customer service to its clients, PATTISON Outdoor is committed to fostering strong, healthy partnerships in the market areas we serve. PATTISON Outdoor Advertising, a division of The Jim Pattison Group, is Canada's largest Out-of-Home advertising company. Since 1908, PATTISON has been providing innovative solutions for Out-of-Home advertising opportunities with products ranging from traditional billboards and posters to transit, digital, airports, mall, residential, office, and street furniture. PATTISON also offers Canada's largest portfolio of Digital Out-of-Home (DOOH) advertising properties, through PATTISON Onestop, a world-leader in the design, operation, and advancement of digital advertising networks for the office, transportation, sports retail, and residential environments, and with its experiential/interactive development arm at Fourth Wall. PATTISON is headquartered in Toronto, Ontario and includes 25 sales offices across the country providing advertisers unmatched reach and coverage with products available in nearly 200 markets coast to coast. PATTISON Outdoor Advertising is the exclusive supplier for advertising on the Toronto Transit Commission's (TTC) transit system. YRT/Viva offers local and rapid transit services throughout all nine municipalities in York Region. More than 125 routes keep residents connected within York Region, as well as connecting to services in the City of Toronto and the Region of Peel. For more information call 1-866-MOVE-YRT (668-3978), visit yrt.ca or follow YRT/Viva on social media. You can also check out talk2yrt.ca, a website where you can view questions and answers about YRT/Viva or submit your own questions. To view the photo associated with this press release, please visit the following link: www.marketwire.com/library/20150930-yrtbuswrap800.jpg. 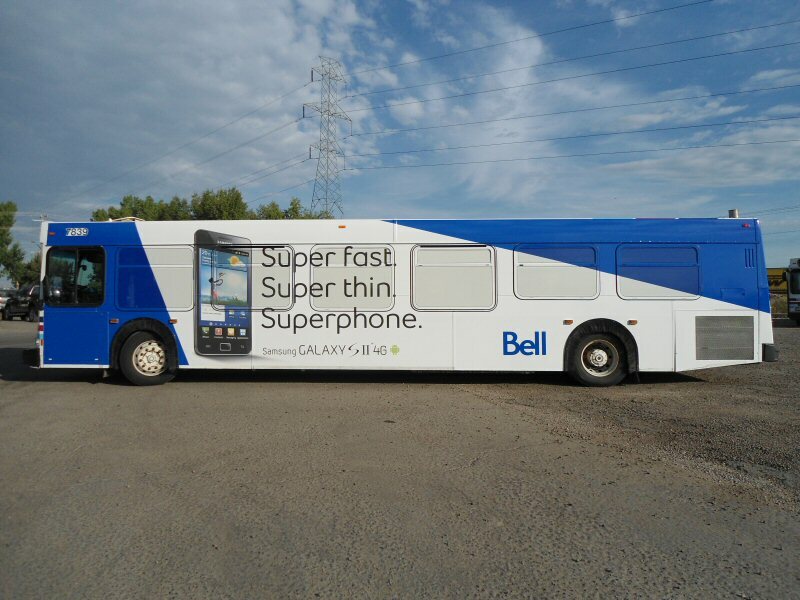 Canada's Out-of-Home leader partners with the local and rapid transit service to provide advertising opportunities for the region.